This is an unusual post from me. 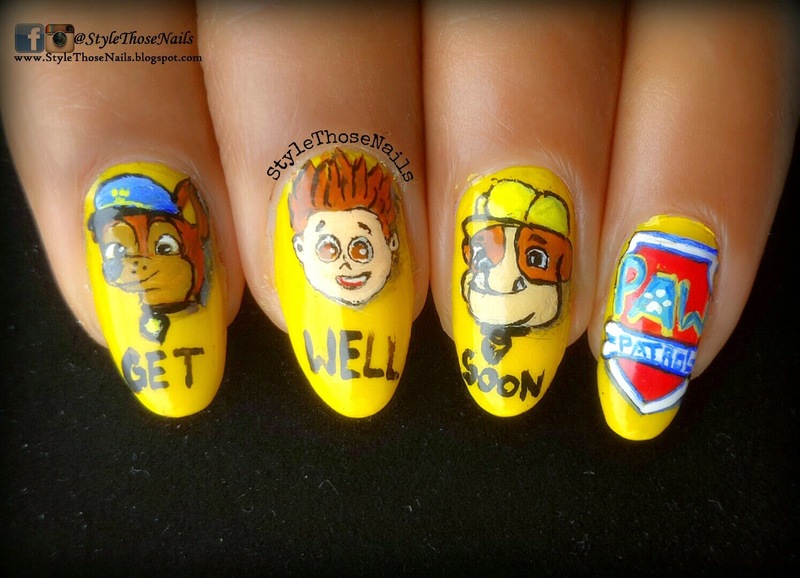 It's about nails of course but the cause is different than just showcasing my talent. 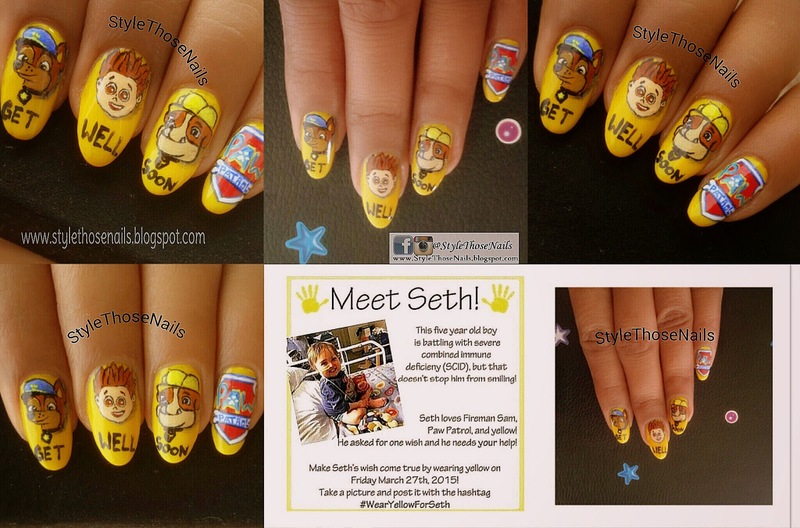 I am wearing yellow nails for Seth, a five year old hero who is fighting with a rare disease called Severe Combine Immune Deficiency (SCID). All over Instagram and other social media you can search the tag #WearYellowForSeth and see how people have joined in to make this day special for Seth. Seth loves Fireman Sam , Paw Patrol and Yellow. 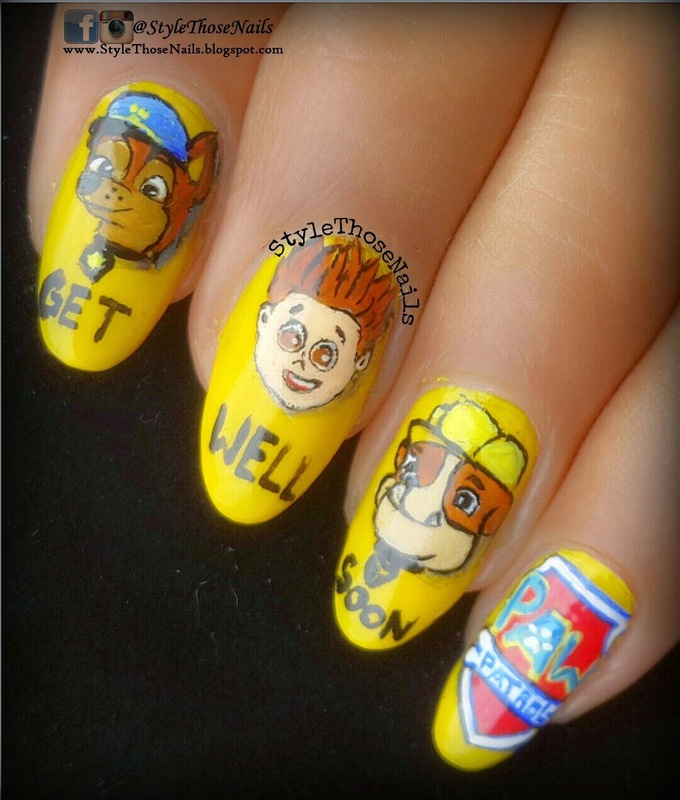 So I thought to draw some characters for Paw Patrol and do Yellow nails. I wish him all the best and may he GET WELL SOON ! Below you can see my nailart and also link to his website so you can read whole story about his journey so far ! Gone Girl - Nails Inspired by Book.